Badey & Watson offers extensive services in Civil Engineering and Landscape Design, as well as all areas of Surveying. With land boundary surveys at the core of our practice for many years, we have completed surveys of parcels ranging in size from a few hundred square feet to more than 2,700 acres. Badey & Watson is also known for its versatility, embracing a broad variety of projects such as serving as the lead surveying firm for FEMA Flood Management projects, performing topographic mapping projects for numerous towns, executing valuable high definition scans for projects ranging from subway tunnels to hospital sites, and much more. Badey & Watson offers scanning services using the newest innovative equipment and technology. Our system provides the ability to capture and process literally millions of precise survey points. Scanning can be conducted indoors, as well as outdoors and under any lighting conditions. The millions of points can be used for making direct measurements from the electronic "point cloud" that the system captures. The data can be processed into very detailed and precise electronic 3-D models and drawings of the subject, while allowing the capture of the survey information without interfering with ongoing processes, operations or construction activities. The products deliverable from the scanning system can be developed into various formats depending upon the client's needs. Badey & Watson has had significant experience with land acquisitions and easements for conservation and preservation purposes. While the acquisition of land for these purposes is not unusual, the creation of a conservation easement is often highly technical and unusually complicated. The preparation of descriptions for these easements, with appropriate references to residual rights, parcel boundaries and other related easements, such as might be required for access, is frequently a very involved process. We have prepared many conservation easement surveys and have frequently assisted attorneys in developing appropriate language for this type of acquisition. We often contribute to the proper construction of conservation easements by identifying items relating to physical characteristics of the property that may not be obvious to others involved in the transaction. The firm has taken an active roll in the environmental analysis of many projects. Our involvement has included project leadership and coordination as well as active preparation of base data and accumulation of available resources necessary for the preparation of the environmental documents. It has also included the completion of many Full Environmental Assessment Forms, several of which required the preparation of extensive Part 3 analysis. See information about Elevation Certificates and LOMA applications. Review plans of Immaculate Conception Cathedral prepared entirely from Laser Scanning data. 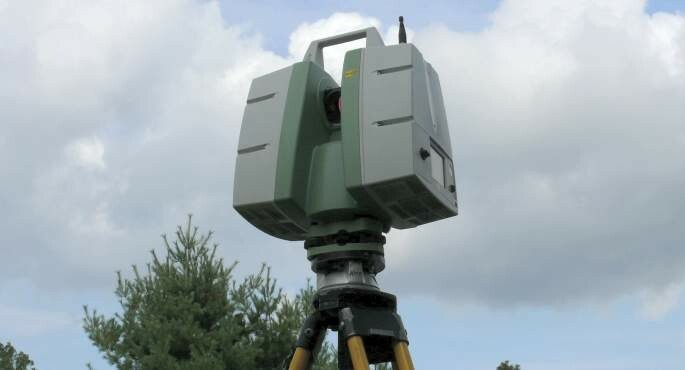 Learn more about our 3D Laser Scanner. Why do you need a Land Survey? If you plan to dig in your yard, BEWARE of the underworld! Click here to download a sample survey.